What a day! Despite a thunderstorm the night before, the threat of torrential rain and localised flooding, all 26 walkers turned out in force on Saturday 22nd July, to take part in the grueling 10 hour/23 mile event that is the Witches Way Challenge, to raise funds to help marginalised and vulnerable children in West Africa. 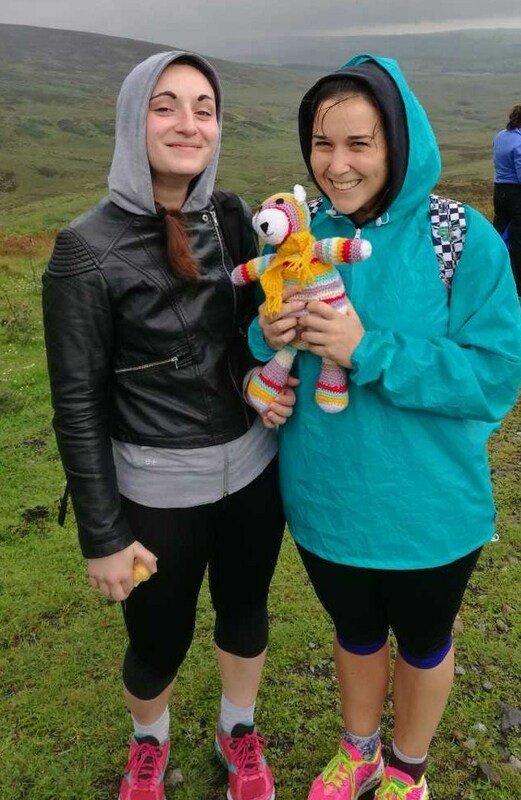 Rain and fog hampered the walkers efforts for the first 8 miles, as they made their way up and across High Salter Fell. Then at mile 10 the clouds dispersed, giving way to glorious sunshine! 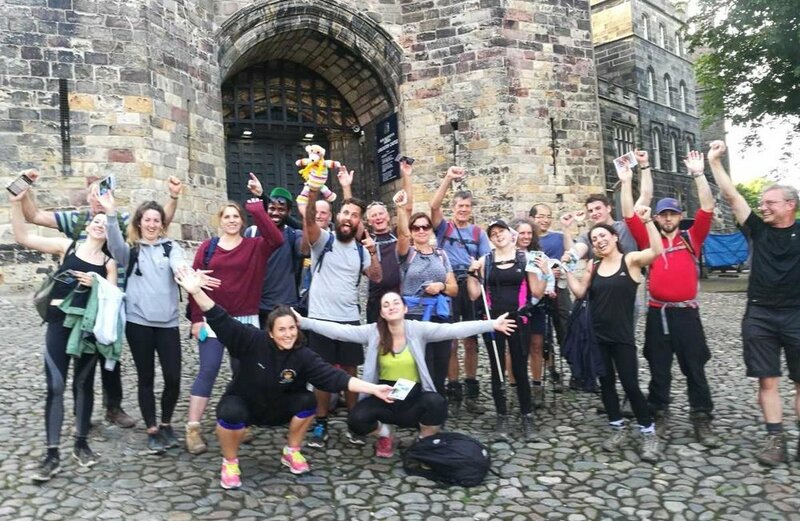 Our walkers were rewarded with breathtaking, 360-degree views of Bowland Forest, the Yorkshire Three Peaks, Pendle Hill and Morecambe Bay - just several of the hidden gems that punctuate this exhilarating challenge. Every year, our walkers are expertly guided and safely stewarded by our support team of leaders, guiders, first aiders and, the all important support vehicle!! Our heartfelt thanks go out to each and every one of our support team who willingly gave up their time - both on the day and in preparation - to make sure that all of our walkers were are kept safe and had the best experience possible. Joining the support team this year - to lend his very unique and huggable support - was special guest, Frodo the Bear! Frodo was lovingly hand knitted for us by one Safe Child Africa's many talented supporters, Diane. This loveable cuddly, enjoyed a bear's eye view from a variety of backpacks along the way! (You can read more about teds like him and the #tedsforbeds appeal here). Frodo kept a watchful eye on our walkers, until they took their last (weary!) steps in the shadows of the castle, just before sunset. A tired but proud walker Karin summed up the mood for the entire team when she said: “Despite being daunted by the miles, I did it! All thanks to the new friends that I’ve met today. What a wonderful way to make friends AND make a difference”. Thanks to Karin, Frodo and everyone who made our 4th Witches Way Challenge possible. Your fantastic efforts have raised over £1,800!